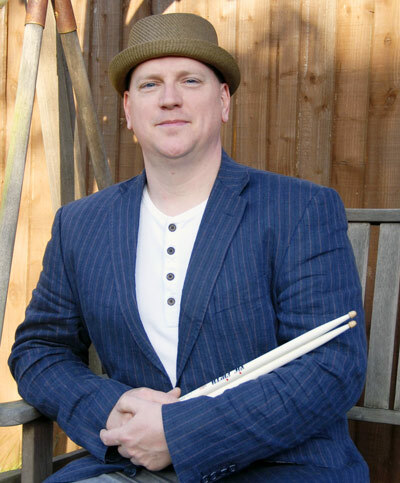 A native of Cornwall, David Rowe studied classical percussion and drums and has played in wide variety of musical settings from brass bands and symphony orchestras to percussion ensembles and other smaller groups. As a member of the highly respected Cornwall Youth Percussion Ensemble, David performed across the UK at the WOMAD Festival, the Royal Northern College of Music and the Queen Elizabeth Hall in London. David has a wide-ranging musical taste, but his passion is for Jazz. He can be found regularly at the bar at Ronnie Scott’s Jazz Club in Soho, where he has been a member for a number of years. He has been fortunate to see many of his drumming heroes at the club including Steve Gadd, Dave Weckl, Omar Hakim, Billy Cobham, Sonny Emory and Steve Smith. David plays Yamaha Drums and Diril hand-hammered Turkish cymbals.